I am pretty sure our next house is going to need one of these closet organizers. It might have to be three times this big to hold all of my hubby's ties and socks, but it would totally be worth it. I am not even exaggerating. Not even a little. In my husband's defense he does where a suit and tie, on average, 6 and a half days a week. But I would really like to get to use at least half of the closet. 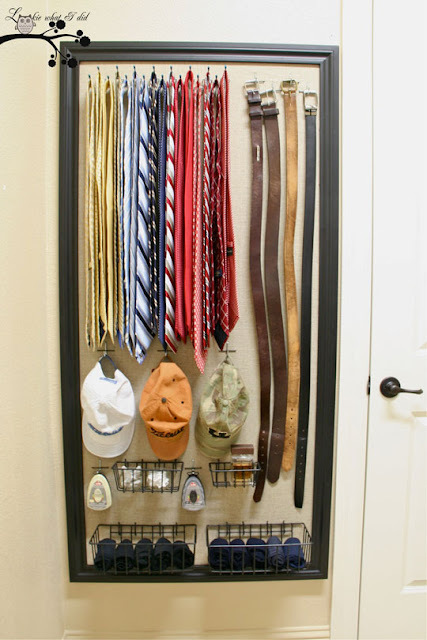 Check out this DIY Closet Organizer for men over at Lookie What I Did.